A new edition of the classic illustrated storybook, ideal for children just beginning to read on their own. A simple illustrated story of a baby bird's journey to find his mother. 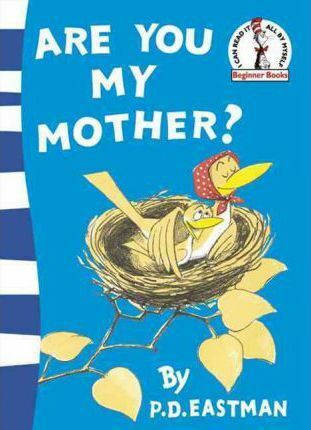 Children who have just started to read on their own will love following the baby bird on his quest as he asks everyone and everything that he meets 'Are You My Mother?' Beginner Books are designed to encourage even 'non-reading' children to read. This Green Back Book will boost the confidence of children who have just started to read on their own. Some Beginner Books are simple stories, others are hilarious nonsense: both types have been designed to give children confidence and make them want to go on reading. Theodor Seuss Geisel - better known to millions of his fans as Dr. Seuss - was born the son of a park superintendent in Springfield, Massachusetts, in 1904. After studying at Dartmouth College, New Hampshire, and later at Oxford University in England, he became a magazine humorist and cartoonist, and an advertising man. He soon turned his many talents to writing children's books, and his first book - And To Think That I Saw It On Mulberry Street - was published in 1937. His greatest claim to fame was the one and only The Cat in the Hat, published in 1957, the first of a hugely successful range of early learning books known as Beginner Books.